We are thrilled to present Proclamation! Pop, a show that will truly exhibit the depth and variety of Pop Art offered by artists in Philadelphia and beyond. Join us Saturday, April 18th for the opportunity to witness this exhilarating and fascinating show. As we continue to draw on the strengths of some of the top local and regional artists of Philadelphia, we are excited to see just how uniquely each artist defines their ideas of Pop. Demonstrating in great range of sizes, media, and concentration, the artists eloquently display a sense of humor, personal inspirations, and their wide range of cultural indemnifications. Pop Art, an ever-evolving movement, continues to inspire and enlighten us and draws a target around what defines our culture. Constantly stimulated by images, sounds, and colors, we often lack the time or patience to ask ourselves where they are taking us mentally and emotionally. Pop Art begs this question, asking why, what, where, where, and how. Proclamation! 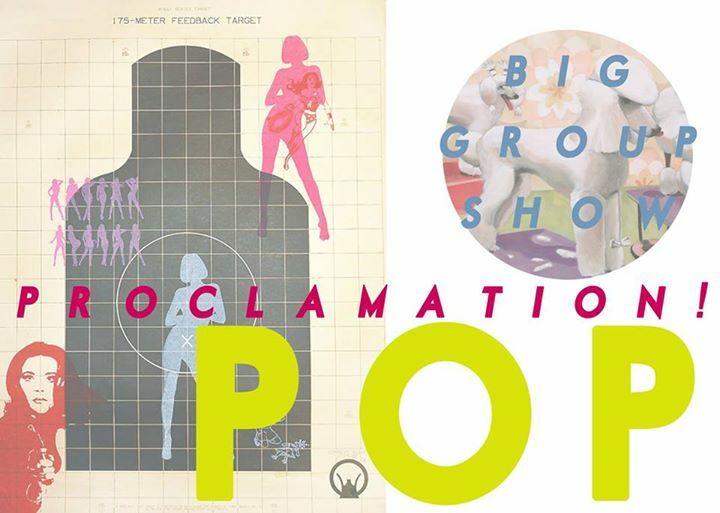 POP is meant to connect the visual stimulations to the viewer, and take us beyond the everyday consumer of culture. We are thrilled to exhibit the works of these sixteen artists and share their unique interpretations regarding Pop Art, through collage, painting, sculpture, photography and video.